Fully-molded Croslite material construction for maximum lightweight cushioning. Croslite material heel strap for a secure fit. "Retro sneakers have long been associated with movements around expression, independence and liberation. 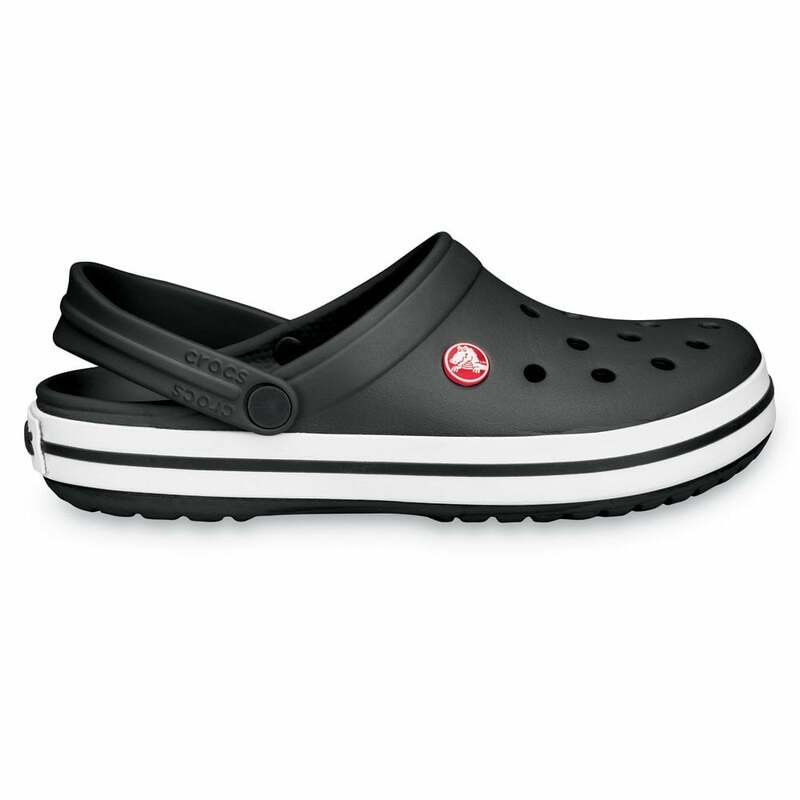 The Crocband takes Crocs shoes iconic expression and infuses the youthful and optimistic spirit captured in these retro sneakers. A fun and colourful collage of retro and new pop culture that go perfectly with any casual outfit"
If you're a fan of the Crocs Clog you're sure to be a fan of the Crocs Flips & Sandals too. Very happy. Stylish and comfortable. Good service from Jelly Egg. The shoes arrived within a couple of days. I would use this company again.